inside the Palm Beach County Convention Center in West Palm Beach, Florida. 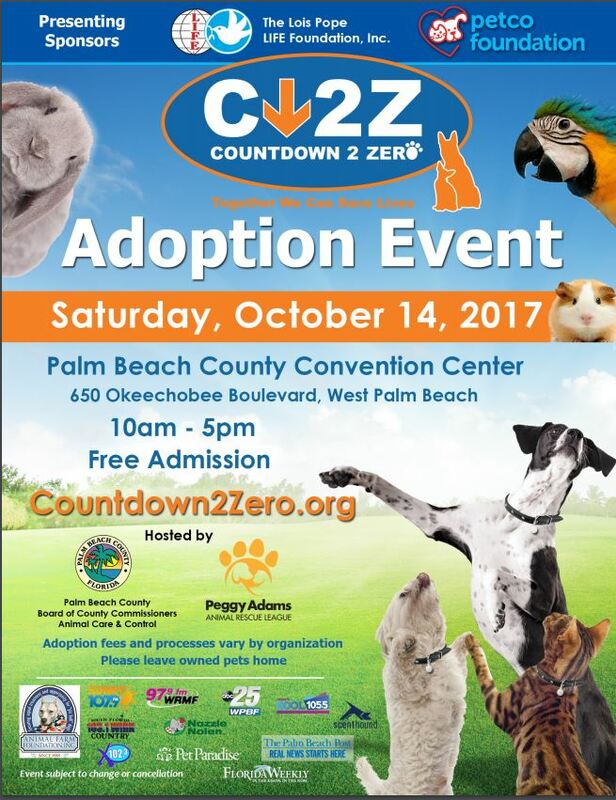 The Countdown 2 Zero Adoption Event is a collaborative effort between Peggy Adams Animal Rescue League, Palm Beach County Animal Care and Control and Local Animal Rescue Groups in an effort to SAVE LIVES! 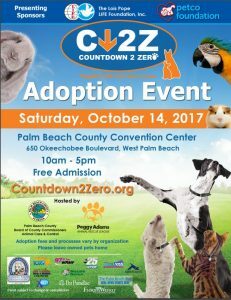 Please come to support CPR and meet some of our Adoptable Pugs!